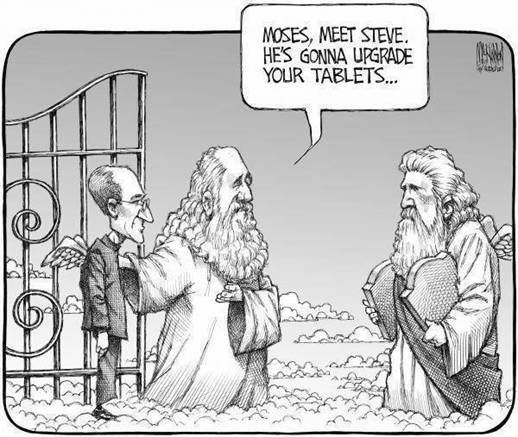 Did I tell you I love my Mac, my iPad and my iPhone? 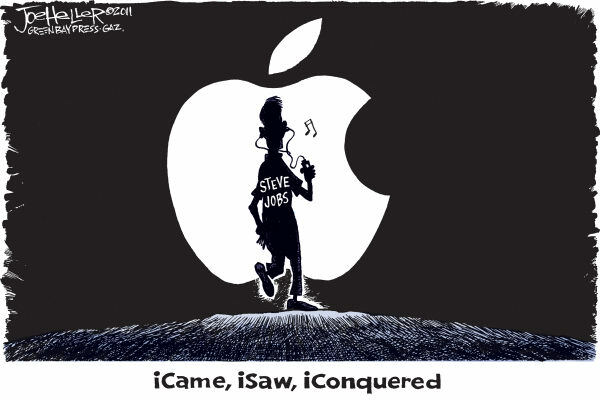 18 years ago the USA had Steve Jobs, Bob Hope and Johnny Cash ….Now they have no Jobs, no Hope and no Cash. 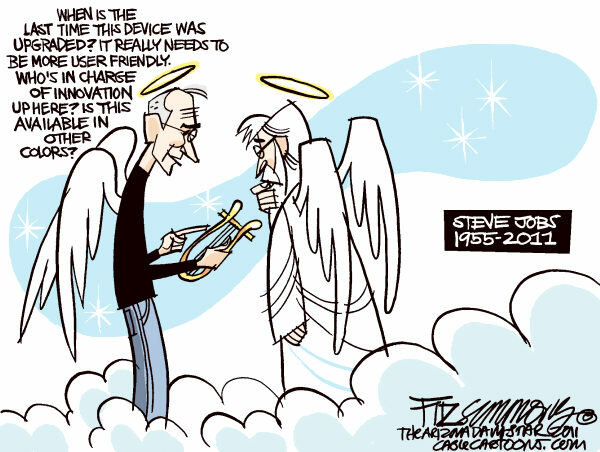 Posted in Just for Fun, Thoughts! Why Are the Chinese So Crazy About Lotus Root? The lotus is a beautiful and functional plant that grows prolifically from the bottoms of rivers or ponds to a height of about a meter and a half. Its leaves float on the surface of the water with large and lovely, colorful flowers of pink, white and yellow. The lotus root is revered in China for its health benefits as well as its beauty – containing a vast array of vitamins, minerals and dietary fibre. The lotus root itself is a long, round, beige vegetable that shows it’s star power when sliced into rounds that look like wagon wheels and its taste is a crunchy texture with a tangy-sweet flavor. The small yellow lotus seeds of the seedpods are just as healthy and are usually found dried and cooked in sweet soups or fresh and added to stir-fries, even turned into teas, and other Traditional Chinese Medicine applications. 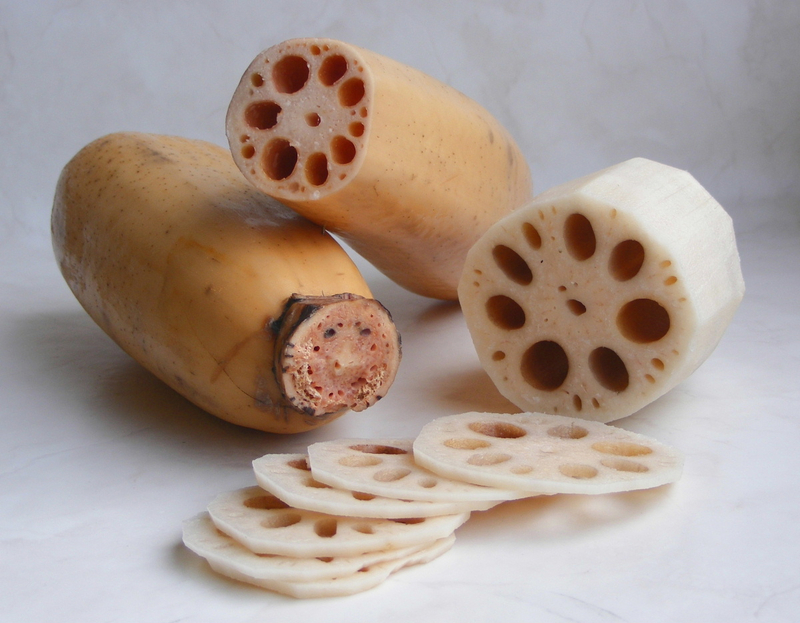 So there you have it…all the good reasons to enjoy lotus root. 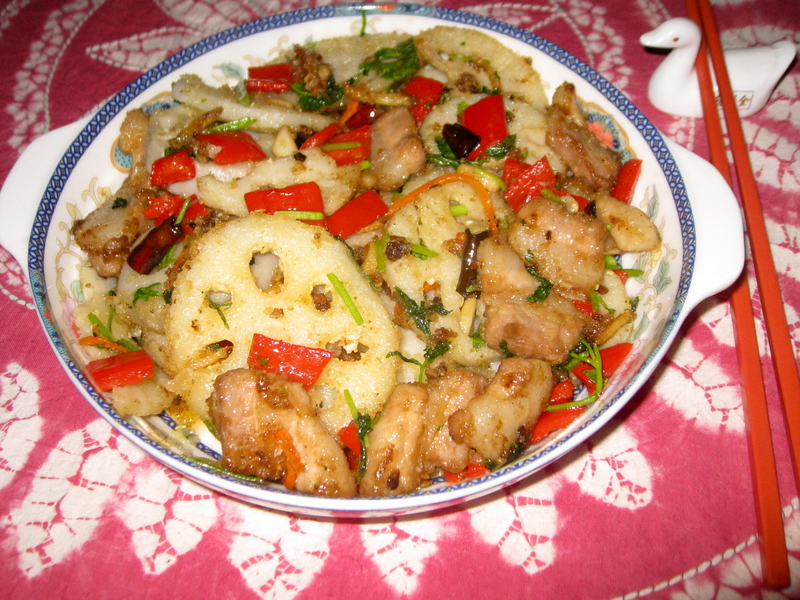 The lotus root dishes served in Beijing have inspired this dish. 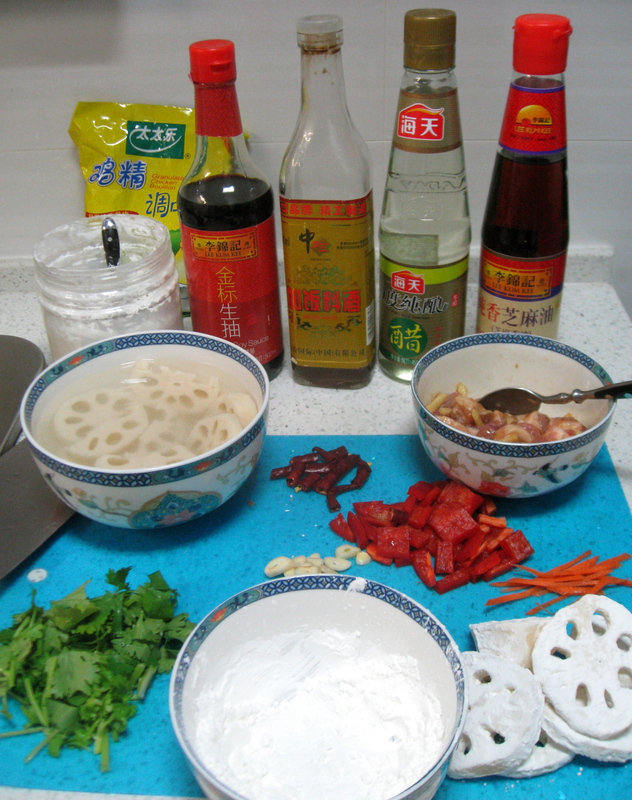 It’s been adapted to a Yunnan style with the addition of dried red chilli peppers. In some restaurants around Kunming it’s also served with diced green chillies (la jiao) to kick it up a notch in the spice area or you can add to the numbness of the spice with Sichuan peppercorns (prickly ash). It’s your choice. Allow lotus root to soak for 20 minutes, submerged a water/vinegar solution, while you are preparing the rest of the ingredients. This will prevent the lotus root from turning dark to keep the white color. In a small bowl, mix together the pork, ginger, cooking wine, soy sauce, and 2 teaspoons of cornstarch. Set aside to marinate and tenderize for 15 minutes. Heat the wok, add 3 tablespoons of oil and heat the oil. Carefully drop in the chillies and reduce the heat to low. The number of dried chillies you use will depend on the amount of spice you wish for the dish. When the chillies have infused the oil with aroma, remove them from the oil to a bowl. Heat the remaining oil in the wok. Add the pork mixture and stir fry to cook the meat – about 5 minutes. Remove from the wok and place in the same bowl as the chillies. Place the remaining cornstarch in a bowl and remove the lotus root from the water – no need to rinse off the slight vinegar taste. Lightly coat the slices of lotus root with cornstarch, shaking of the excess. Reduce the heat to low and add 4-5 slices of lotus root at a time to the oil. Fry on either side until light golden brown – the slices will still be crunchy to the taste. Remove slices to the bowl and repeat until all of the slices are light golden brown. In the remaining oil in the wok, add the garlic, red pepper and carrot and stir fry until crisp and cooked but still brightly colored – about 2 minutes. Add the pork, chillies, lotus root, chicken bouillon granules, and sesame oil and heat for 1 minute. Add cilantro and stir-fry for one more minute. Check the taste for the need to add salt. Remove from the wok to a platter and serve while hot with steamed rice. Eat and enjoy this delectable dish! Ah, a grand old dame. And her husband and sister look amazing too. Gosh her daughter in law, front and centre. 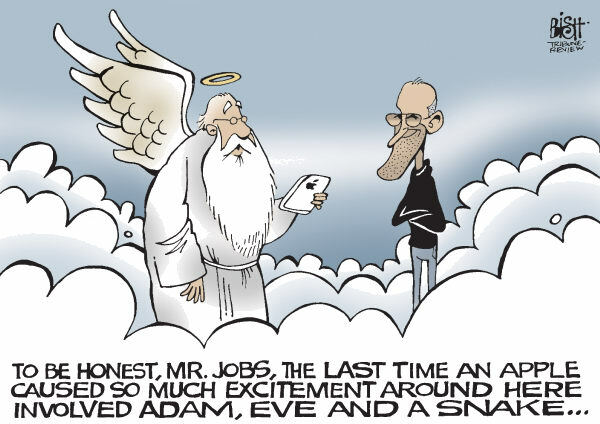 Posted in In the News, Just for Fun, Thoughts! Our lives – and the safety of our food – are determined by the structures we live in, writes Tang Hao. Without systemic reform, there’s no point increasing enforcement powers. Posted in Interior Design, Just for Fun, Thoughts! My recipe for Edamame Beans has just been published in http://www.gokunming, a local ezine. Have a look….